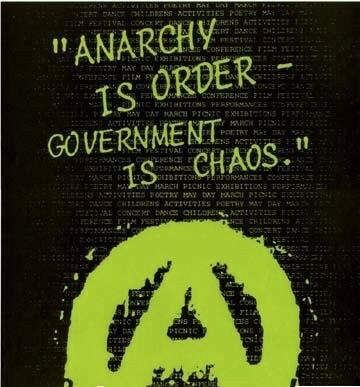 Anarchy is a type of government without any government at all. Everyone is left to fight for themselves. Power is to the people not leaders. Leads to the breakdown of society. No rules or regulations to stop people from commiting terrible acts. Somalia is the only country where there is no government.